You have several options for improving your credit score. Take a few minutes to see what you can do! It seems like everywhere you turn you see an ad about your credit score. Some of don't just offer to get your credit score (for Free or small monthly fee), but also may claim to be able to improve your credit score dramatically in a short period of time. Although there are several companies that will provide you with a Free Credit Report, did you know that we all can get a FREE CREDIT REPORT annually? So, you don't have to go through a third party company or pay for this service if you don't want to. But let's say that you already have your credit report and not only is your credit score a little lower than you thought it was, you also see some errors on what is being reported. Before we get started, you must understand that a credit report is nothing more than a snapshot of you credit history at a particular point in time. Lenders rely on the information contained in a credit report to determine if and how much money they are willing to loan you. I wrote an article/blog recently addressing the concept of "Pay for Deletion" on a credit report. Basically, you offer a creditor or debt collector a sizable settlement to not only settle the account for less than the balance, but also to delete the account from your credit report. I'm not going to get into that here, but if you'd like more information, click on my blog link above. Payment History, which accounts for about 35% of your credit score. The first thing any lender wants to know is whether you've paid past credit accounts on time or are late or just have not made any payments in a long time! Your payment history is very important! How much Credit are you paying on now? Just because you have credit accounts now doesn't necessarily mean that you cannot get more credit. But, if you have $25,000 of available credit and have used up $20,000 on various credit accounts, you are using 80% of your available credit now and may not be able to get more. To a lender, the longer you have been using credit, and more importantly, how you have handled your credit in the past, gives them a pretty good idea of how you are going to handle the credit you are applying for now. What type of credit are you using? New credit, or actually, too much new credit, may hurt you credit score. 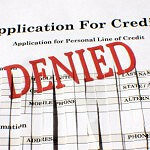 Beware of opening and/or applying for too many new credit accounts in a short period of time! Many people believe that opening several credit accounts (store cards, credit cards, etc.) will help them get better scores. Actually, this is a negative! If you have a couple or even a few cards or accounts, don't try to get too many more in short period of time. OK, so you check out your credit report and are disappointed with the score and see errors as well. Each of the 3 major credit reporting bureaus allow you to DISPUTE legitimate errors on your credit report. An account showing a balance that you paid off a long time ago. An account that was in collections that you paid off or settled but there is still a balance showing. An account with a balance that you have not (or been unable to make any payments on) for longer than your state's Statue of Limitations for collection of credit accounts. A judgment that you had paid off or settled. Although creditors and debt collectors are supposed to report that an account has been paid off, settled or satisfied to the 3 major credit bureaus as well as to the court where the judgment had been recorded, many time they do not follow through! First, you MUST HAVE PROOF that shows that there is an error and you are requesting that it be corrected. I know that there are many so-called "debt repair" companies that claim to be able to remove negative information and improve your credit score dramatically. BE VERY CAREFUL OF THESE TYPES OF CLAIMS! Once you have copies of canceled checks, a statement from the creditor or debt collector show a $0 balance or that the account has been "settled-as-agreed", then you need to turn them into a .pdf document. You want to be able to clearly show where the error is by making a copy of the page with the disputed item circled. PLEASE DO NOT SEND YOUR ENTIRE CREDIT REPORT! The credit bureaus deal with thousands of disputes daily and what you want to provide to the agent who is reviewing your dispute is clear, easy to understand documentation that there is an error and they will correct it right away! Brief, concise explanation of why you are disputing this error. Clear, easy-to-understand proof that the account has been paid as agreed. Or, proof of your last payment showing that the statute of imitations has expired and therefore the item or account should be removed. Once you have all of this saved as a .pdf document (if you don't know what that is...get some help! ), then go online. If you have followed these instructions, you should get a letter or see online that the disputed item has been corrected. If not, then contact them until it is!!! !